Trinity Church's vision is to be a flourishing community of individuals and families in the northern NYC suburbs that loves and follows Jesus, and transforms our world through the power of the Gospel. We celebrate our Reformed heritage, seen in our commitment to the faith reflected in such documents as the Westminster Confession of Faith, the Heidelberg Catechism, and the Thirty-Nine Articles. Our evangelical commitments are seen in our commitments to the authority of Scripture and the priority of God's grace; these are summarized in documents such as the Lausanne Covenant, the articles of faith of the World Evangelical Alliance, and the statement of faith of Fuller Theological Seminary. 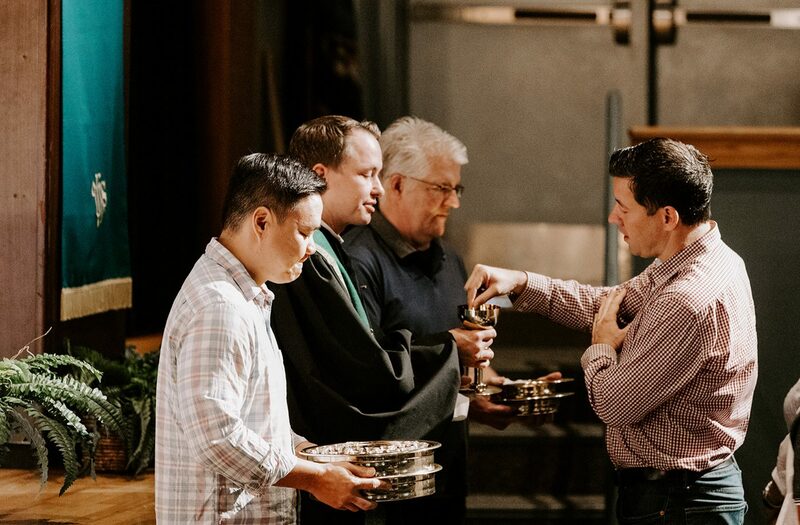 Our "catholicity" is seen in our wholehearted embrace of the historic Christian faith expressed in the ecumenical creeds of the universal church (e.g., the Apostles and Nicene Creeds). The term "catholic" refers to the one Christian church of all times and places, made up of all who follow Christ in the fellowship of his people. Trinity Church's mother church, Redeemer Presbyterian Church in New York City, is launched under the leadership of Rev. Dr. Tim Keller. Six Redeemer home fellowship group families are challenged to plant a church in Westchester County. Tim Keller tells them "Apart from raising your families, this may be the most important thing you do in your entire life." Pastor Craig Higgins and his wife Ann join the core families to found Trinity Presbyterian Church in Rye, NY. Trinity Church begins Sunday afternoon worship services at the Rye Methodist Church. Trinity Church moves to Sunday Morning worship services in the gymnasium at the School of the Holy Child in Rye, NY. Trinity Presbyterian Church becomes a self-governing religious organization recognized by the State of New York. 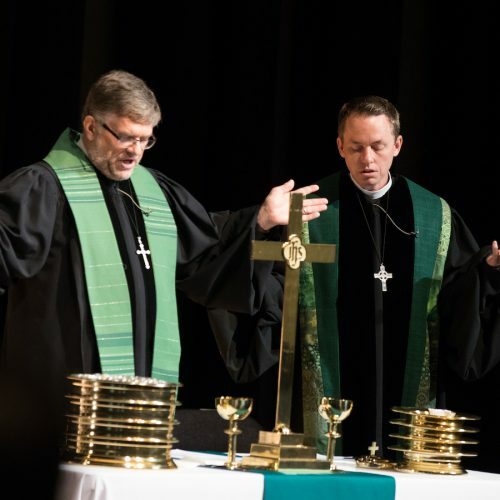 Trinity calls its first associate pastor and first student ministries coordinator. Trinity attains 3 acres of property in Purchase, NY. First church office space rented in Rye. Offices are relocated to 15 Elm Place in downtown Rye. Trinity attains the adjacent 3.5 acres on Anderson Hill Rd. Trinity offices are relocated to church property at 526 Anderson Hill Rd. Trinity receives final approval to build a new worship facility on their church property. We would like to introduce you to our staff! Here is information on our team, their experience, and ways they serve our community at Trinity Church. 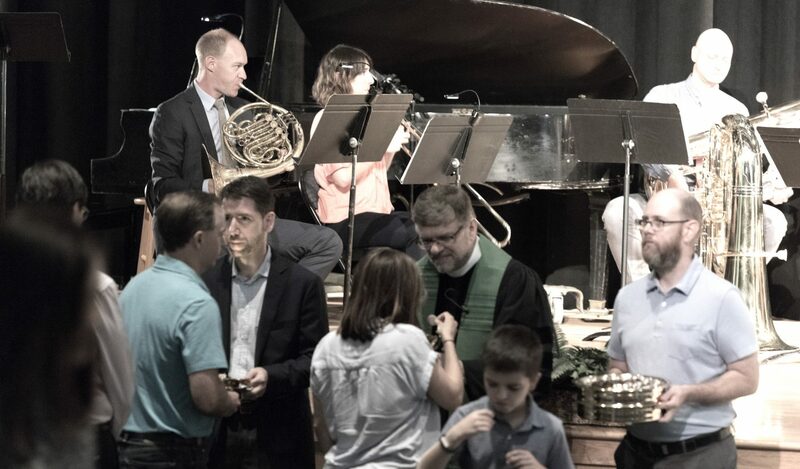 Dr. Higgins is the founding and senior pastor of Trinity Church, having moved here in 1994 to work with the six couples that began the congregation. He is a graduate of Mercer University in Macon, Georgia, (1983, B.A. in philosophy), Westminster Theological Seminary in Philadelphia (1989, Master of Divinity, a three-year course of study in theology and pastoral care), and of Trinity Episcopal School for Ministry near Pittsburgh (2005, Doctor of Ministry). 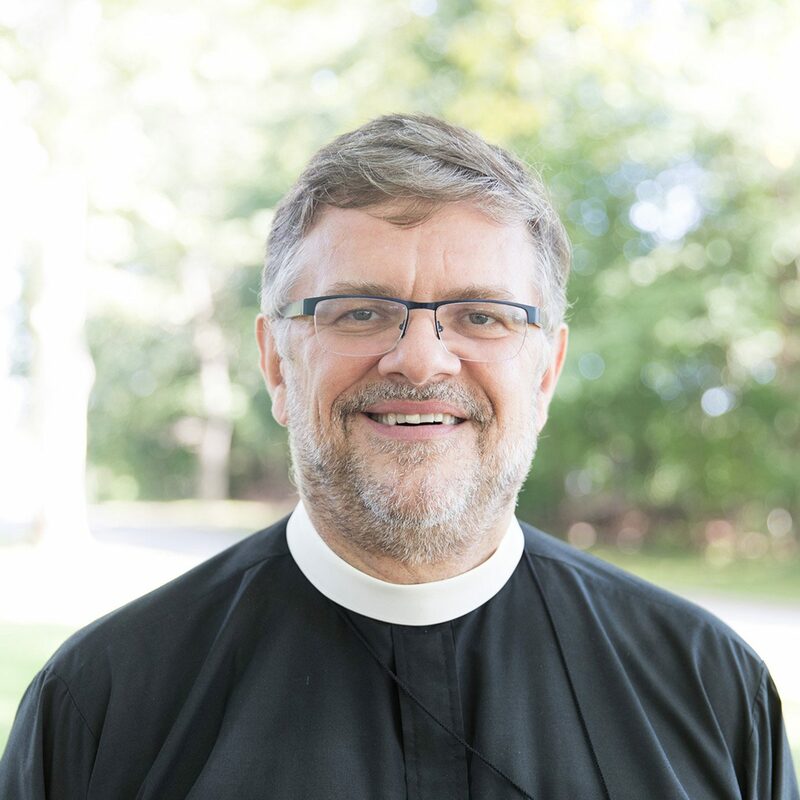 He currently serves as a member of the Leadership Development Team of the Metropolitan New York Presbytery and on the boards of both Chesterton House at Cornell University and the World Reformed Fellowship. He is a member of the La Jolla Fellowship, the T.F. Torrance Theological Fellowship, and the American Scientific Affiliation. Craig grew up in the mountains of northeast Georgia, near Cornelia, and has been a fan of the Braves since the team moved to Atlanta when he was five years old. He and his wife, Ann, have three children—Caroline, Andrew, and Abigail—and live in Rye. 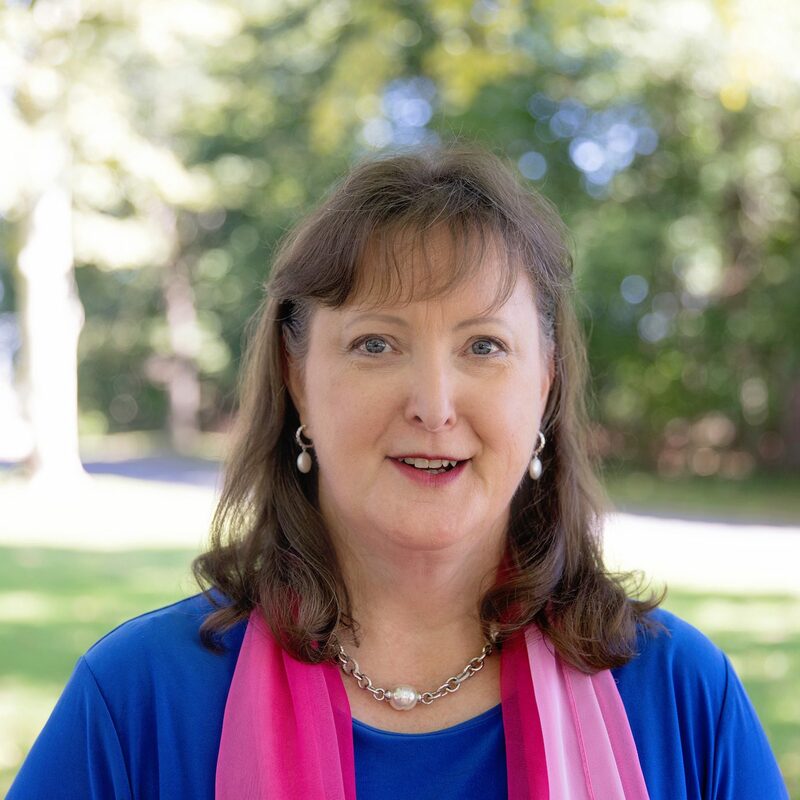 Ann Louise Wright joined the Trinity Presbyterian team working as the Adult and Children’s Music Coordinator in 2017. She moved to Pelham, NY, in 2015 to work as an elementary music teacher in the Pelham Public Schools. She attended Redeemer Presbyterian on Sunday nights when she lived in New York City and found Trinity Church through Redeemer when she moved. Originally from Columbia, South Carolina she holds Bachelor and Master’s Degrees in Vocal Performance from the University of South Carolina and Manhattan School of Music, respectively. In addition, she holds a Masters of Education in Music Education from Teachers College, Columbia University and holds certification in Kodaly Level 2 from NYU. She is married to Jim Wright who is a baritone opera singer. 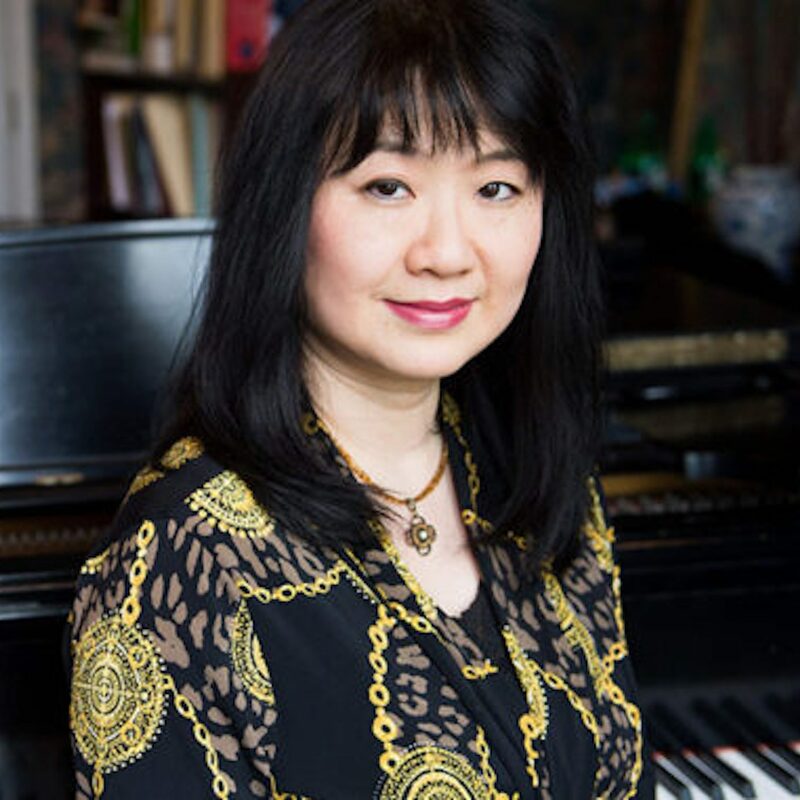 Tammy Lum, pianist, is a critically acclaimed and versatile concert musician, numerous competition winner, founder of the Hudson River Pianofest and tenured professor at Nyack College, NY. She is also a NCTM (National Credited Teacher of Music) with MTNA (Music Teacher National Association). She made her U.S. solo debut at Carnegie Recital Hall in 1990. Recordings include Ballades and Ballads (2015), Piano Trios: Parker, Rachmaninoff, Chaminade, Liljestrand & Piazzolla with the Amasi Trio (2013), and My Treasure Box (Hugo Productions, Inc. 1999). Education: BM, MM – Eastman School of Music, participated in the Professional Studies Program at The Juilliard School, DMA – Manhattan School of Music. Dr. Lum and her husband, Leo Li, are members of Trinity Presbyterian Church. Lisa serves Trinity Church as the business manager. She is a graduate of SUNY Oneonta with a B.S. (Management Dietetics) but continued her studies in Information Technology. She worked at IBM for over 22 years both as an IBMer and as a contractor in administration, technology and marketing while providing IT support to both IBM and its customers. When it comes to supporting a small business office, all of it comes in handy! Lisa is a native of New York and enjoys capturing the seasonal beauty of this Hudson Valley area on camera. She has been a member for many years and serves on Trinity’s diaconate. Margaret Anne serves Trinity Church as the Family Ministries Coordinator. She and her husband, Sean, are new to the New York area from Birmingham, Alabama, and they enjoy exploring all the city has to offer! She is a proud graduate of Auburn University where she earned her Bachelors Degree in Elementary Education. Margaret Anne has experience working in Youth Ministry in Alabama, as well as teaching experience. She loves working with kids of all ages, as well as getting to work with Trinity Church’s wonderful families. She and her husband live in Rye and have been members since 2016. Rev. 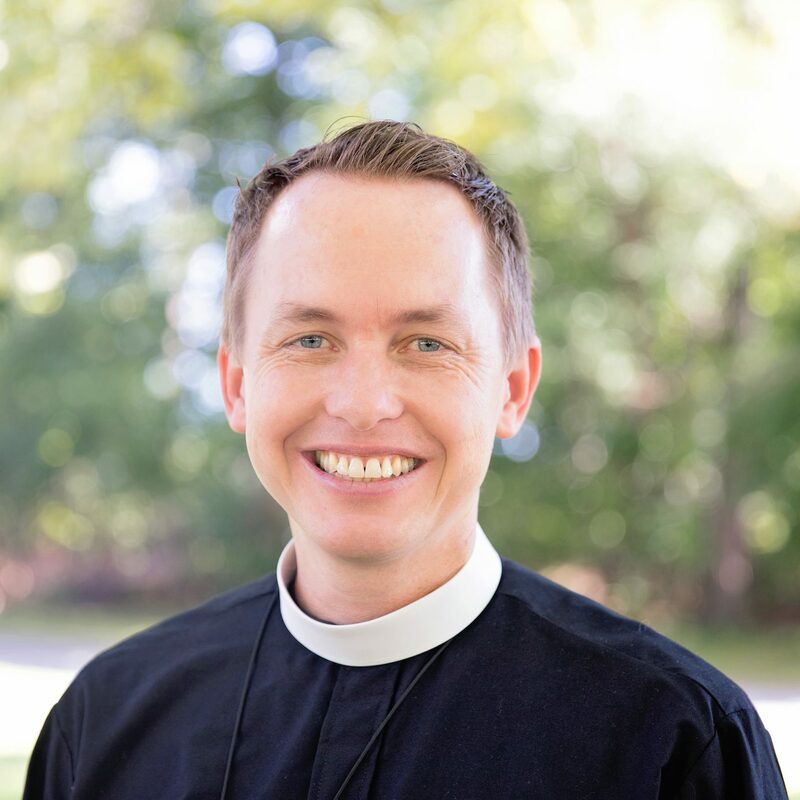 Magneson serves Trinity Church as Associate Pastor. He is a graduate of the University of California in Davis (B.S. in mechanical engineering) and the Newbigin House of Studies program of Western Theological Seminary (M.Div.). Before being called into full time ministry, he worked as a licensed professional engineer and volunteered for many years in the church as a youth group assistant, worship leader, small group leader, and in various other roles. His family have been members of Trinity Church since 1999, and Steve served for ten years as an elder. Steve and his wife, Amy, a physician, have three children and live in White Plains.